This post is going to be pretty technical, and for those who find it tough reading and just want to find out more about this new development in cataract surgery, please email me (poryongming@yahoo.co.uk) or write in the comments section below. 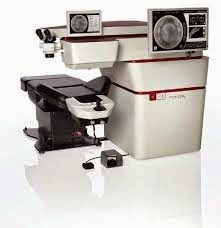 A number of years ago, some laser companies decided to expand the capabilities of femtosecond laser LASIK flap cutters to make them cut at a deeper level. This is based on the premise that you still have to go in and remove the cataract after the laser cutting is done. Normally/conventionally, the corneal cuts are made with a metal or diamond blade. The front capsule opening is torn manually in a circular fashion by the surgeon. Finally the nucleus is cut (with ultrasound) or chopped (manually). 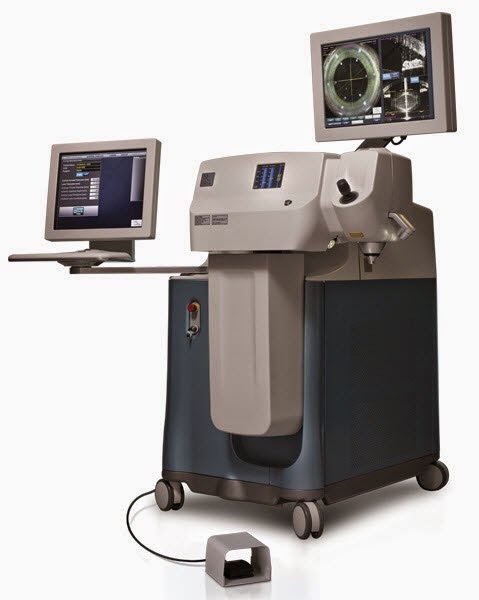 The femtosecond laser is a good cutting machine, however, cataract surgery also demands removal of the hazy lens material besides cutting, and the removal is still done with a conventional phacoemulsification machine. 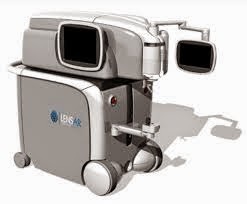 The above are the currently available platforms for performing laser assisted cataract surgery. Each have their own pros and cons, and it may be worth asking your surgeon about the system he/she is using. Is there a difference in result between conventional vs laser cataract surgery? I think it is fair to say that any laser can make more uniform, consistent cuts than those made manually. However, there are several lines of evidence which suggest that there is no difference in clinical outcomes between laser assisted surgery or conventional phacoemulsification. J Refract Surg. 2014 Aug;30(8):522-5. doi: 10.3928/1081597X-20140711-04. The above two papers show that there are no or insignificant differences between pre and post operative central corneal curvature, which influences surgically induced astigmatism and post-operative refractive predictability. One paper showed differences in the corneal topography immediately overlying the incision, but this is far in the corneal periphery (not affecting vision) and would be expected to settle down with time. The main aim of reducing ultrasound energy is to reduce corneal endothelial damage, rather than retinal problems. 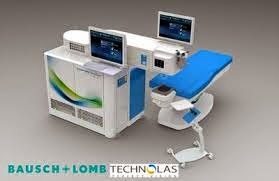 The phaco probe is normally too far from the retina to cause any problems with the ultrasound. It is, however, only millimeters away from the corneal endothelium during surgery. Even in this regard, the data is mixed. One paper in fact reported greater early endothelial cell loss in laser cataract surgery eyes than conventional phacoemulsification. The other paper showed no significant differences. Acta Ophthalmol. 2014 Nov;92(7):617-22. doi: 10.1111/aos.12406. Epub 2014 Jun 2. One of the papers below suggests better IOL position after laser cataract surgery, and the other says there is better refractive predictability. Interestingly, the difference in post operative mean refractive error is miniscule: 0.12D. And they say the difference was greater in very short or very long eyes, suggesting a problem with the formula they were using rather than the surgery itself. With regard to one of the other problems cited with femtosecond laser cataract surgery-that of intraoperative miosis (pupil getting smaller), it is something that does not happen in conventional phacoemulsification unless there is IFIS (Intraoperative Floppy Iris Syndrome), related to the use of alpha antagonists for prostate problems. Nowadays, this problem is minimised by doing the lens removal as soon as possible after the laser cutting procedure. Is femtosecond laser assisted cataract surgery better, or gives better outcomes than, conventional phacoemulsification cataract surgery? I think the jury is still out on this one!